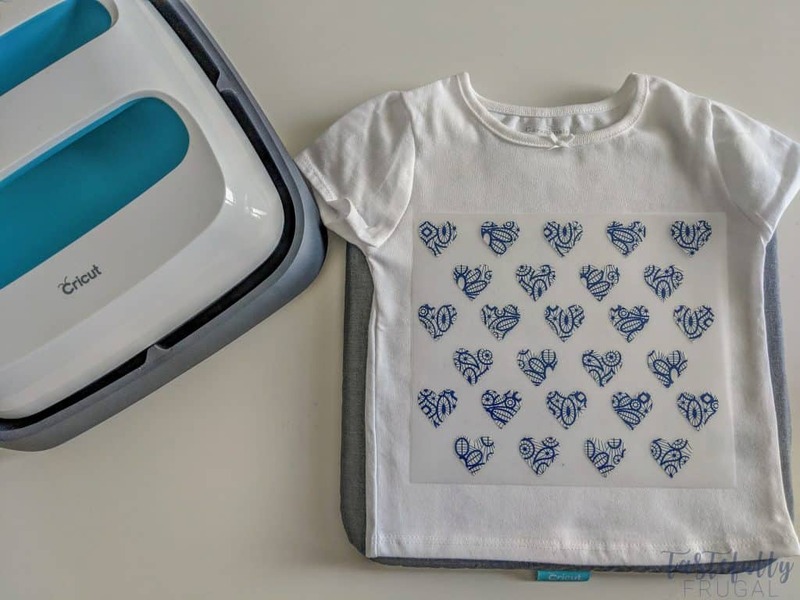 Make a cute coordinating outfit for you little one in minutes thanks to Cricut’s new Patterned Iron On. I knew as soon as the doctor’s told me I was having a little girl that I was going to have so much fun dressing her up. 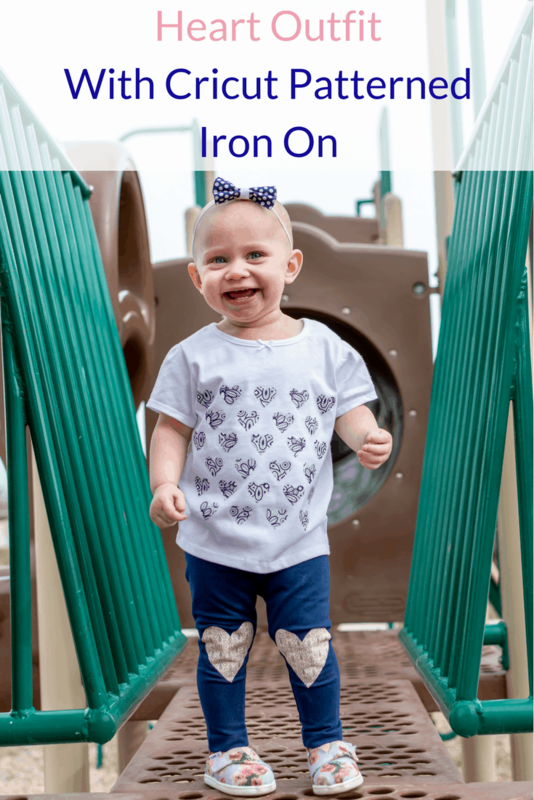 Don’t get me wrong, I loved dressing my boys in cute outfits too, but there are so many more cute options for girls (and way more cute ways to customize them too). 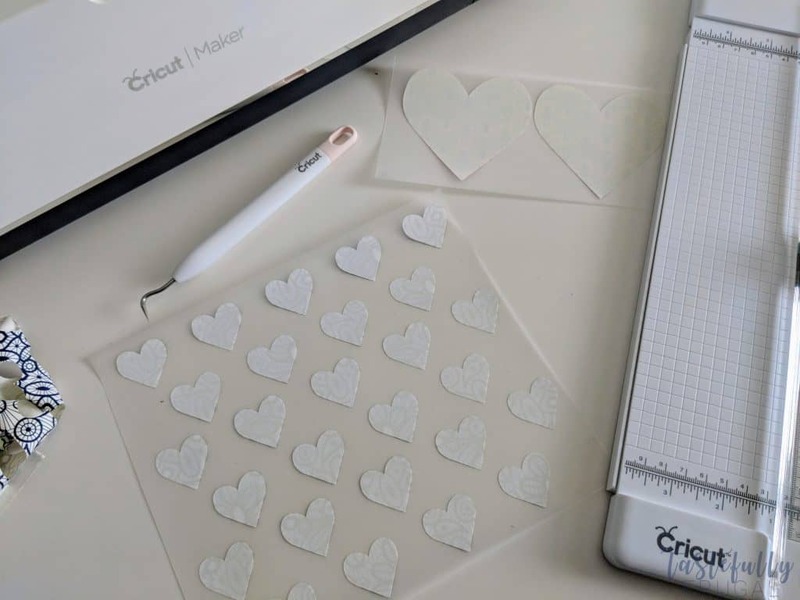 When Cricut released their Patterned Iron On last month, those possibilities grew even more. Not only are there are a ton of really cute styles but they come together in sampler packs with coordinating colors/patterns. It makes it really easy to make coordinating designs in different patterns. When I was making this outfit I designed a dress and some nursery art with the Patterned Iron On in mind too, so keep an eye out for those in the coming weeks. 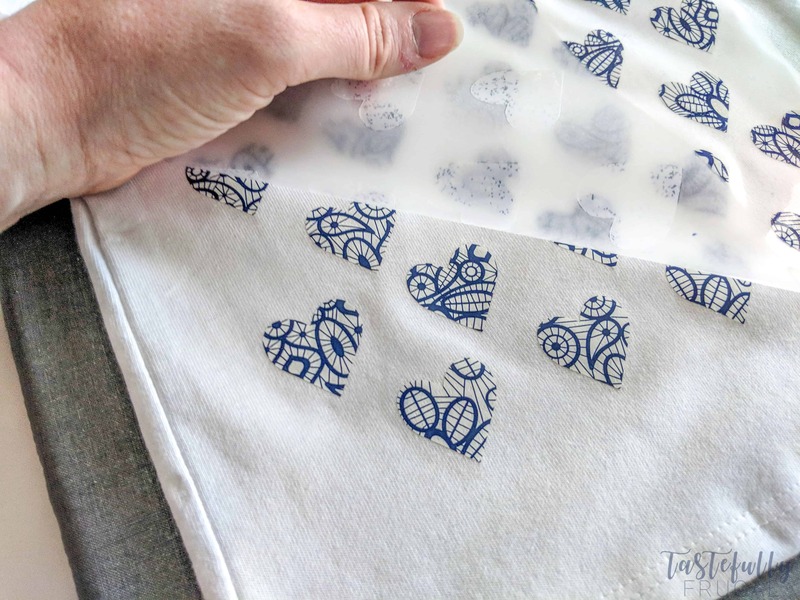 You can check out the 9 Patterned Iron On Samplers here. 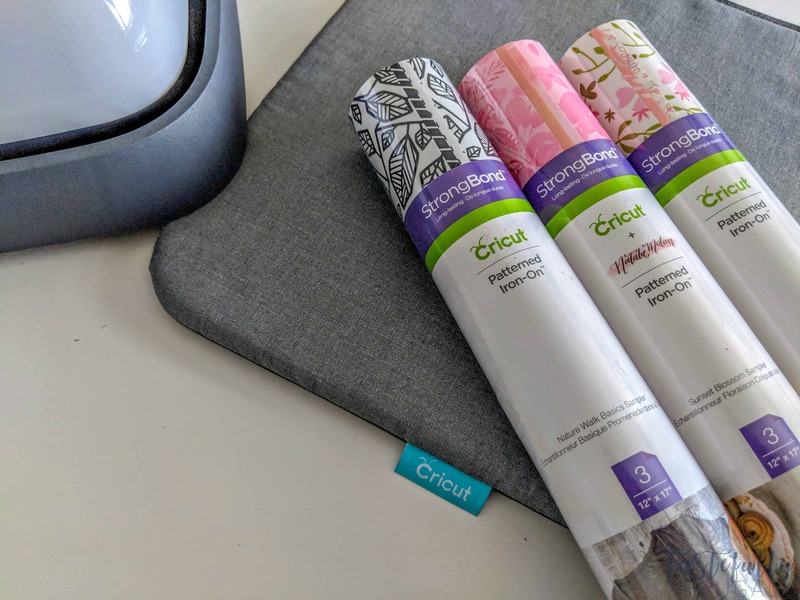 In addition to this new Patterned Iron On, I’m obsessed with Cricut’s new EasyPress Mat. I talked about it a little bit last week, but seriously guys this is a game changer! 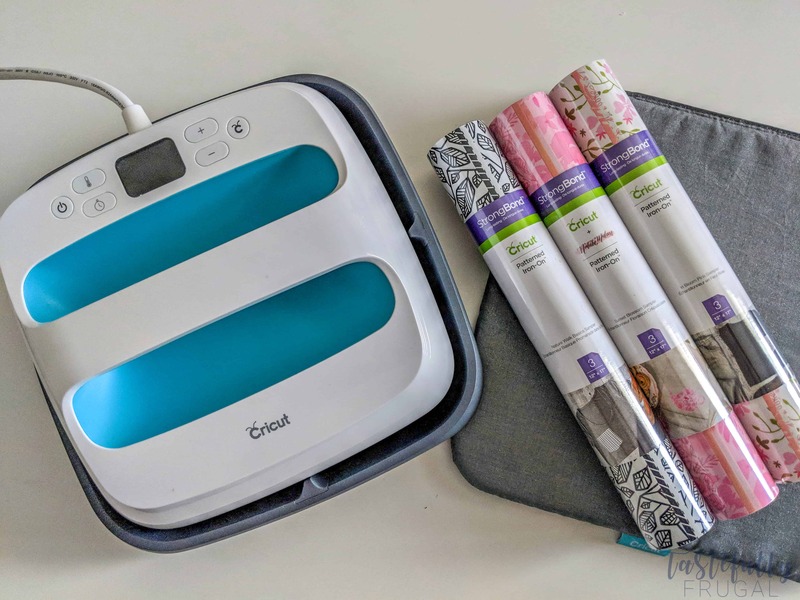 It makes applying iron on with your EasyPress much easier and it protects your table (or countertop) from the heat that comes out of your EasyPress. I didn’t really realize how much heat the EasyPress puts out until I felt my counter underneath where I had pressed a few shirts and it burnt my fingers to the touch. Thanks to the EasyPress Mat know I don’t have to worry about my kiddos getting burnt after mama crafts. Now that you’ve heard all about my obsession, let’s talk about this cute outfit! 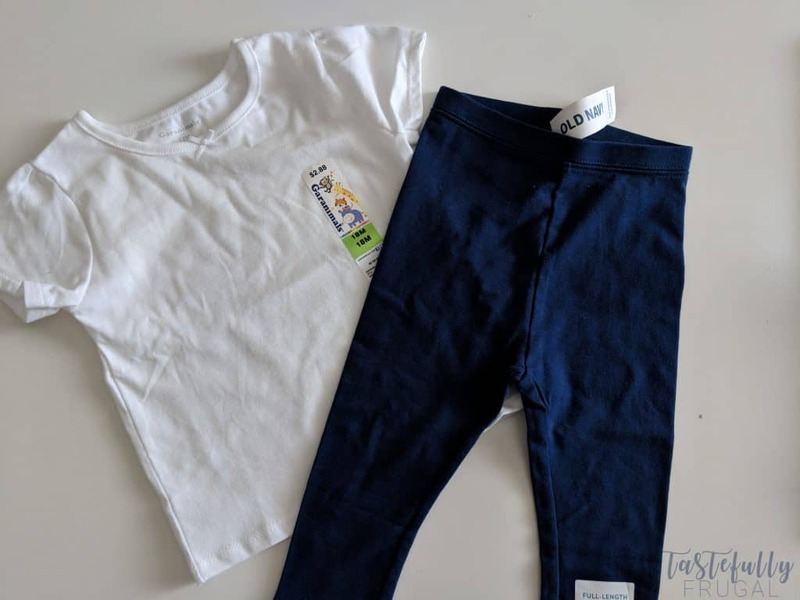 I love getting my blank tops and leggings for Mahle’s outfits at either Walmart or Old Navy or The Children’s Place when they have a sale. I got this top at Walmart for $2.88 and the leggings are from Old Navy and I think I got them for $3 – so $5 for the whole outfit; not too shabby! Let me show you how easy these were to make. Open up this design in design space and size your design to fit your shirt. I measured from seam to seam to determine the width for my shirt. Also, measure your leggings from seam to seam to determine how big you need your bigger hearts. Send your design to the mat. *make sure to Mirror your design. Select Patterned Iron On in the drop down menu for materials. Load your Patterned Iron On design side facing your mat and cut design. 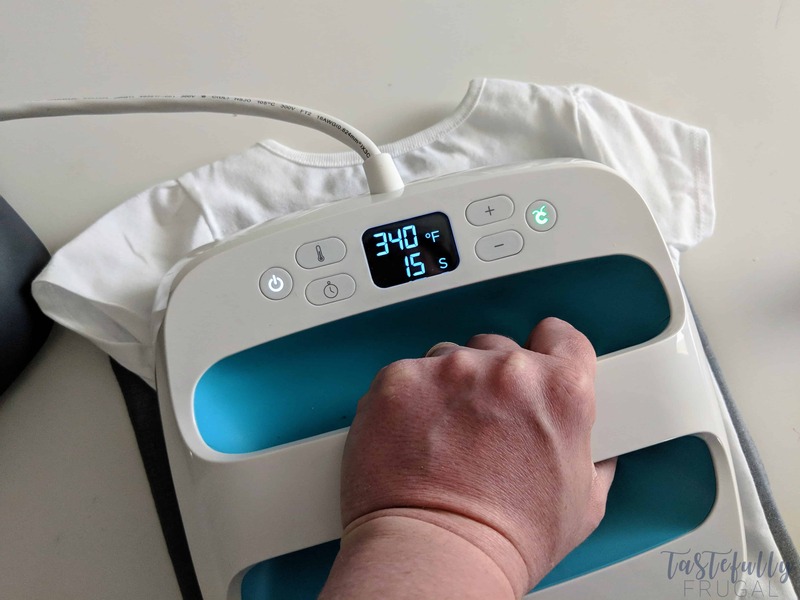 FOR PATTERNED IRON ON, YOU’LL WANT TO HEAT YOUR EASYPRESS TO 340°F AND PRESS FOR 30 SECONDS ON THE FRONT AND 15 SECONDS ON THE BACK. IT IS ALSO A COLD PEEL. 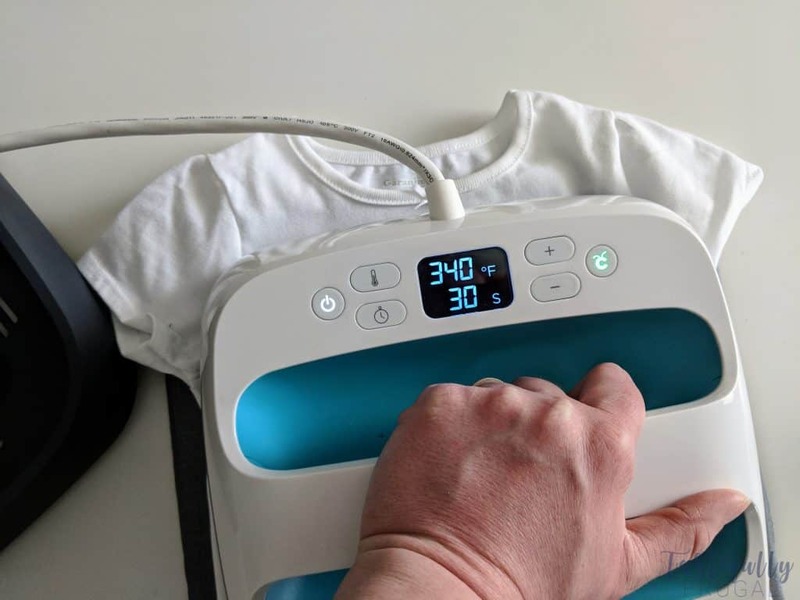 THAT MEANS YOU’LL WANT TO WAIT ABOUT 45 SECONDS AFTER YOUR PRESS YOUR SHIRT TO PEEL THE PLASTIC BACKING OFF. This chart is super helpful for determining the temperature you need based on the material your pressing and the type of iron on. 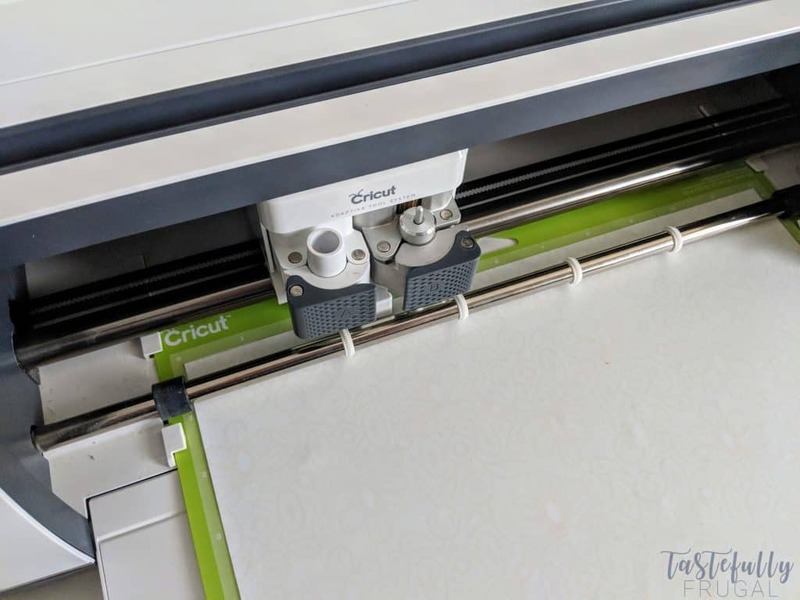 Once your EasyPress is up to temperature, place your shirt on the EasyPress Mat and preheat the area you’re putting your design for 5-10 seconds. Line up your hearts and make sure they are equally spaced from the seams. Press for 30 seconds with medium firm pressure. Flip your shirt over and press for 15 seconds. Let cool for 45 seconds to 1 minute and then slowly peel at an angle. Repeat with the larger hearts on the leggings. Isn’t Mahle so cute in this outfit?! 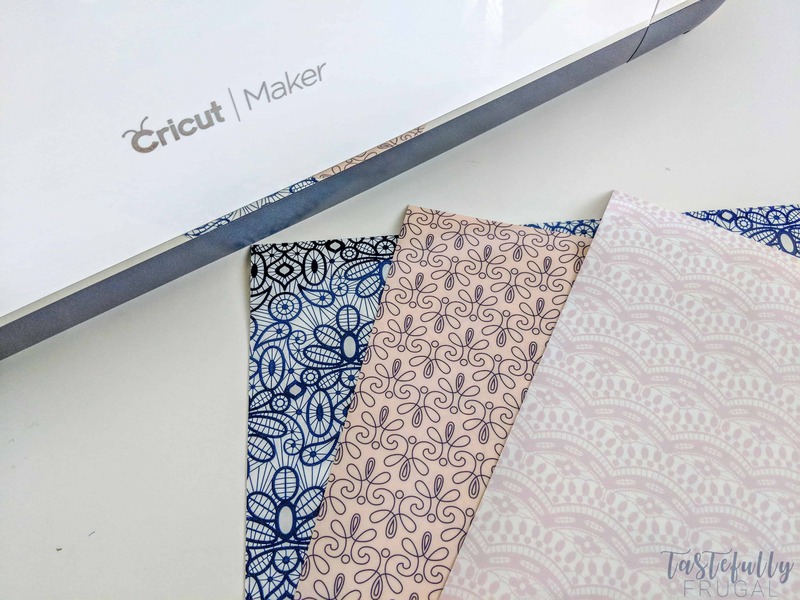 What Patterned Iron On Sampler are you most excited to try?! Let me know in the comments! Oh my god! 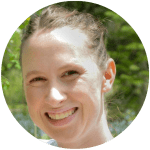 Everything is so sweet on this blog! First, this baby girl is so cute and adorable. Also, her style is great! But, the best thing is your idea of decorating. You got a unique t-shirt and pants. You’re a real designer! 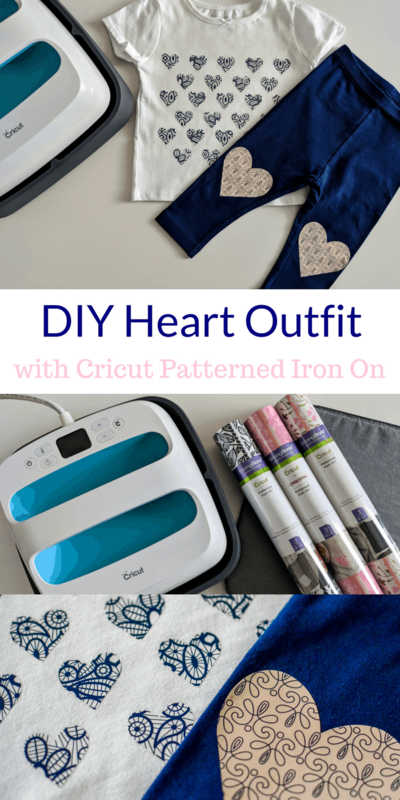 😀 Heart outfit is very cute, especially for the baby.